It would be great if everyone could use the Myers Briggs Type Indicator Tool (MBTI) – a personality questionnaire based on 16-personality types – to find the perfect mate. The four categories of the MBTI are represented by Extroversion(E) or Introversion(I), Sensing(S) or iNtuition(N), Thinking(T) or Feeling(F) and Judging(J) or Perceiving(P). For example, an INTJ personality type suggests the individual is an introvert which means she is less expressive than an extrovert. She is intuitive rather than fact-oriented. She makes decisions based on facts rather than leaving decisions open for more options. While the MBTI suggests what personality type match you best, keep in mind these are generalities only. Both your heart and mind will decide who is best for you! First of all, it is not true that opposites always attract. For example, ESTJs are dependable traditionalists who work hard, hold morality in high regard and become frustrated when rules are not followed. Once an ESTJ finds a partner with similar values (another ESTJ), they are wonderful mates and form long lasting relationships. While you are both warm and affectionate with each other, you both occasionally become overbearing and controlling. Neither one of you explain your feelings well so you are a good match. ENFJs and INFJs are highly perceptive, intuitive and dedicated to long term relationships. They cannot be manipulated easily or tricked into thinking you are someone you are not. Both personality types are grounded in helping communities and society as a whole and are totally committed to their causes. If you are attracted to this type of personality, make sure you are not playing a role to get their attention. Both personality types have an eerie ability to read between the lines. Successful relationships with these affectionate hopeless romantics are based on honesty and trust. They choose partners who make them feel loved, appreciated and understood. ENFJs do best with INFPs and ISFPs as these personality types add spice, pleasure and spontaneity to the relationship. INFJs do best with ENTPs and ENFPs because they respect each other’s need for space. Never forget to look for diamonds in the rough. INFPs and ISTPs find expressing their emotions challenging and therefore find it difficult to find mates and form close relationships. If you are looking for a strong committed relationship, be sure to explore the ISTPs and INFPs. These individuals may appear stand offish and a bit odd at first, but take the time for a closer look. An ISTP’s bluntness, challenging personality and quietness on the social scene hide one of the most delightful personalities. 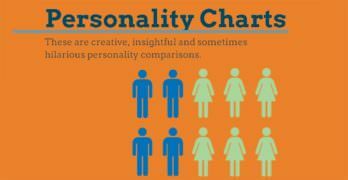 Your initial interest in this personality type has the best chance to survive if there is no pressure. Once they discover you are the one, the courtship is full of fun, surprises and long-term devotion. If your relationship gets in trouble, an ISTP can fix it. INFPs are another similar rare personality type you need to check out. Although quiet at first, INFPs make a loyal and devoted mate who will take care of you in every way long term. An ISFP is a devoted and committed partner. If you have a driven and risk-taking personality (ESTP) and love action and thrive on competition, you need an ISTJ to help balance your life. INTJs like the ESTP lifestyle but are more methodical and detail-oriented. This different trait can help you (the ESTP) tone down your impulsivity, recklessness, bluntness and strong attitude. The modest, humble and sentimental personality of the ISFJ is a sure thing if you want to be placed on a pedestal. ISFJs place your best interests above everything and everyone else. If you want a peaceful, affectionate, entertaining and faithful reciprocal relationship, an ISFJ is your match. If you are an ESTP or ESFP, you can share your soul with an IFSJ. According to Kenrick, Ledlow & Acerman (2003) your personality traits and values (as well as attractiveness) influence who you choose to date. No one can help who they fall in love with and sometimes it can be challenging if the two personalities are not a good mix. 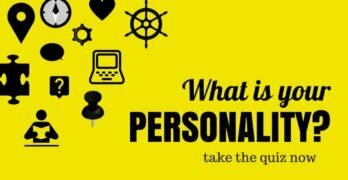 If you are already in a relationship, the descriptions of personalities in the MBTI will give you insight into actions you can take to improve your existing relationship. Remember do not take it too seriously if your MBTI personality does not match up with a prospective partner’s. Have fun with the MBTI!